Very colourful, mate! Nice work indeed. I like the Soviet ships and submarines! Very imaginative. Couldn’t agree with you more about when you see all the painted minis ‘in-game’, looks awesome. Thanks for posting the exact names of the paints you used… running out of options for gray but I noticed you use a few I don’t have, gonna try some of those shades as well. Still haven’t gotten around to whipping up a site for my painted minis… time, need more of it. I like yours - good stuff. I want to have all my Italians (FMG and OOB) done in light grey (to make them easier recognizable as opposed to the Soviets), anyone know some company who could do that at a reasonable price? Doing it myself is not an option since I could mess up even something as ‘simple’ as painting them all one color, nor do I have the patience to do it myself. Try Historical Board Gaming dot com. He has single-color painted A&A pieces so I know he knows how to do it. Those are fantastic, Captain. I like the British naval units - good colouration. Thanks again to the team here, cheers to imperious leader for putting this thread as a sticky and keeping it there! I also noticed your aircraft stands that have a small “footprint”. May I ask what you used, or did you make them? They look like the perfect size. Paul, I took a washer and some modeling clay (mlliput) and pressed the ball on to the washer. Then i drilled a hole in the plane with a dine drill and glued some wire into it. Thanks for the responce concerning the aircraft stands. I think they’re just the right size. And your paint jobs are really well done. Thanks again for sharing. Wow, great paintings. Thanks for sharing this. This inspired me to start a Paintskrieg by myself. I’d love to hear your input as I go through the project. I’m new to painting miniatures but I love Axis and Allies and have some cool ideas that I think would work, so here goes! Wow, very nice work. It is always cool to see someone’s painted pieces. Thanks for showing your work. I love your work, the detail is fantastic! I also thought about adding the soil under the troops, but I wasn’t sure how it was withstand being scrambled around in the box, how has it held up? Thanks. Looking impressive! 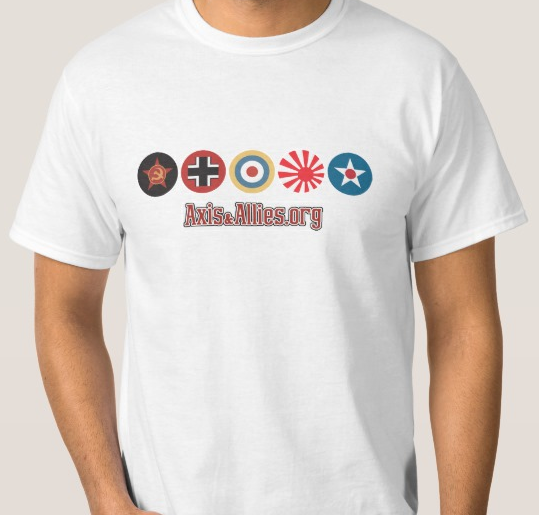 Where did you get your flight stands for the Soviet Airforce? I like the small footprint of these stands. hi, what kind of paint do you guys use? thinking of brand, kind, colors, store, etc. @Tjoek Of course! The map felt and played at least as good as the real deal. Well he did get map free. Just paid shipping costs. If he gives to you at just shipping costs probably be around 45 - 50 bucks.